I have always been such a huge fan of natural beauty and skincare products as they are non-toxic and help towards maintaining a vibrant and youthful look that is healthy for ones skin. One of the more natural beauty products that I recently tried was from the line Burt’s Bees that is known for their products that are largely made from bee’s wax or plants. The Burt’s Bees tinted lip balm in particular is comprised of Shea butter and botanical wax and comes in 9 different shades that cost $7.99 CDN and are suppose to give your lips a tint of color. The shade I tried on was the shade called Sweet Violet. The lip balm comes in this really neat packaging that I have never seen any skincare or beauty line come up with. 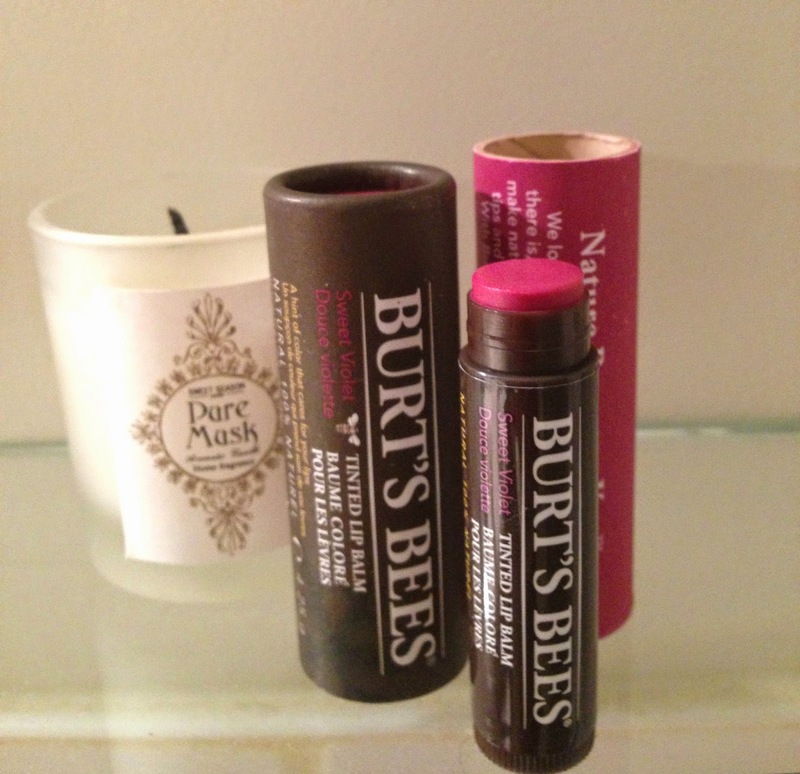 The tinted lip balm is encased in a tube that has the philosphy of Burt’s Bees written on it- Nature Becomes You. Once the packaging is open, the tinted lip balm is revealed. Although the color is called blush, I thought it would add some color to my lips. 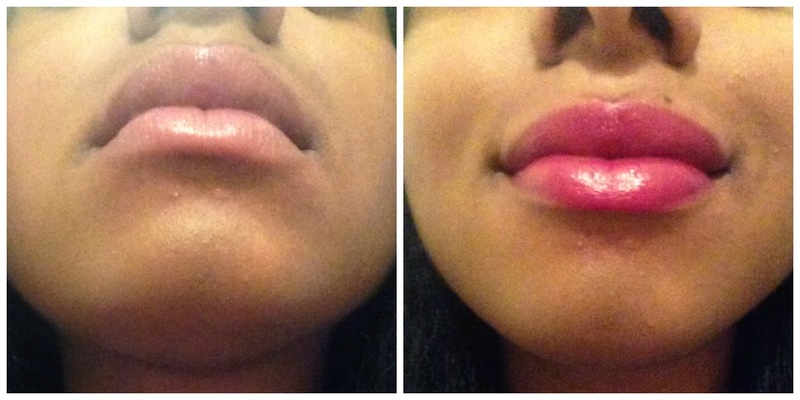 However, I didn’t notice any color or red hue appear on my lips after I applied the product on. In fact, I found this lip balm to be very natural and more similar to a highly moisturizing lip balm, than a tinted lip balm. Even though the lip balm didn’t add the tint I was looking for, I really found that it applied nicely both over and under lipstick, especially when the color is more matte. The left side is with the tinted lip balm applied. The right side is with the tinted lip balm applied over my M.A.C. lipstick rebel. As it is highly moisturizing and feels great on my lips, I think I will definitely be using this tinted lip balm over my lipstick when the weather begins to get cold, rather than using it as a tinted lip balm as the color is far too light for what I am looking for. I hope you enjoyed reading this post. Don't forget to subscribe or Follow my blog with Bloglovin! 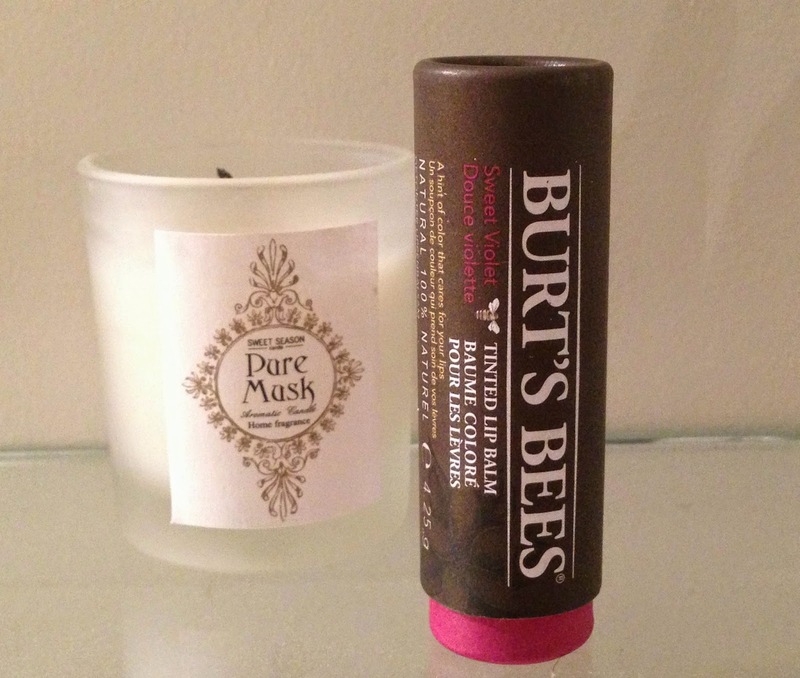 Have you tried any Burt's Bees products? If so, what's your favourite product for their line?